Scientific Surveys: Characterizing the community structure and functional role of reef fishes, stony corals, algae and other ecologically and economically important organisms in marine ecosystems. 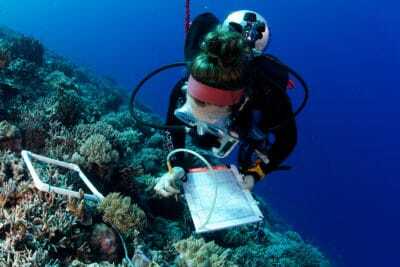 Habitat Mapping: Mapping the spatial distribution of marine habitats in poorly studied, remote coral reef ecosystems. Coral Ecology: Studying the relationships between coral reef organisms and their interactions with the natural and human environment. Reef Resilience: Assessing the current status and major threats to coral reefs and studying factors that can enhance their capacity to survive in a rapidly changing environment. All of our scientific findings and GIS maps are published and shared freely with participating countries and scientific and regulatory organizations so that they can be used to develop sound environmental management strategies for coral reefs. 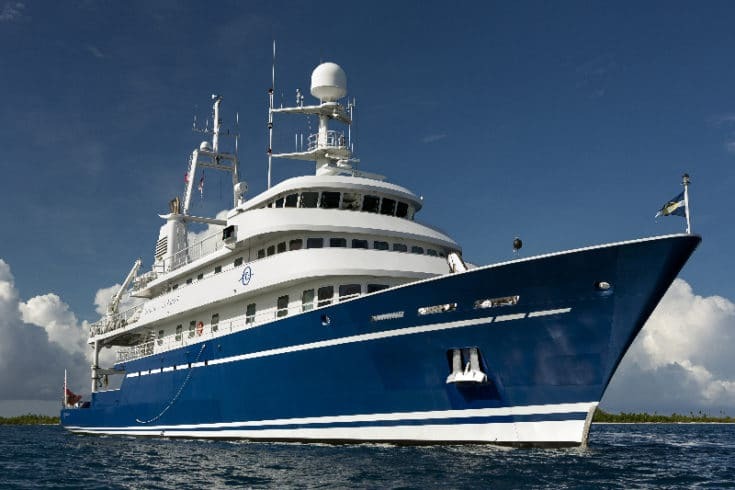 Our marine science team is currently conducting the world’s largest coral reef research survey: the Global Reef Expedition, a 6-year research mission that will circumnavigate the globe aboard the M/Y Golden Shadow to study the health and resiliency of coral reefs. The primary scientific goals of the Expedition are to map and characterize coral reef ecosystems, assess their current status and major threats, and examine factors that enhance their ability to resist, survive and recover from major disturbance events.